With a large number of high profile fashion editors and bloggers invited to Apple's Sept. 9 media event, it's expected that the company wants to win the favor of the fashion industry for its anticipated entrance into the emerging wearable devices market, potentially positioning the "iWatch" as more of a chic statement than geeky gadget. 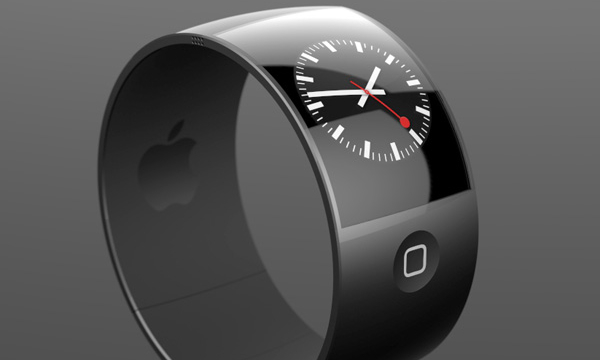 "iWatch" concept by Esben Oxholm. Writers from top fashion publications have been invited to Apple's Tuesday event "in unprecedented numbers," according to Reuters, which listed Marie Claire and Fashionista among first-time invitees. Apple has reached out to the fashion industry in the past, but the company typically holds a specific, separate event in New York after products have been unveiled. This year, Apple is holding its media event at the Flint Center in Cupertino, Calif. —a venue considerably larger than its usual spot at the Yerba Buena Center in San Francisco. The additional seats at the venue have apparently afforded Apple the ability to bring fashion editors who are typically not among those at a keynote presentation. Apple's interest in focusing on fashion has been signaled for some time: Last year, AppleInsider was first to report that Paul Deneve, former CEO, of French fashion house Yves Saint Laurent, took a position working on "special projects" at Apple. And this July, Apple also hired Patrick Pruniaux, former head of sales for Tag Heuer. Apple also recruited Angela Ahrendts, another former fashion CEO from British label Burberry, to run its retail operations. Prior to Burberry, she served as president of Donna Karan International and on the executive board of Liz Claiborne. Apple's interest in fashion, and the invitations sent to fashion editors, come as the company is widely expected to unveil its so-called "iWatch" at Tuesday's media event. The device is rumored to be equal parts gadget and fashion statement, and may come in a variety of styles, including two different screen sizes for men and women, to suit different tastes. The company's hotly anticipated Tuesday event kicks off at 10 a.m. Pacific, 1 p.m. Eastern, and will be live streamed to Apple devices. AppleInsider will be live at the Flint Center with full coverage, and readers can install the official AppleInsider app for up-to-the-minute updates.